It fits anywhere and it's reasonably priced, so it's easy to start using it. It has everything you need for your startup. It means you can get started, right now. The toughness to keep on working, and a compact size and price. The all-in-one package includes fonts and PC software. Delivered to you with the quality that celebrated brands put their trust in. 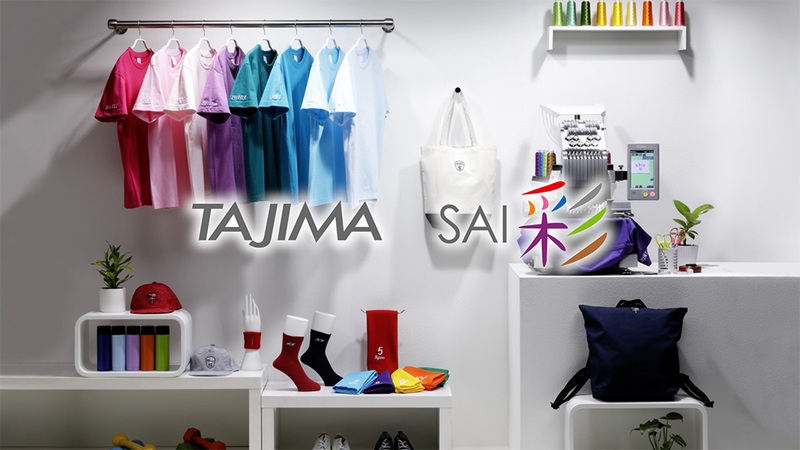 From TAJIMA, the top manufacturer of embroidery machines that the world's first-class brands have confidence in. Start your business on the day it arrives! An everyday item turns into something special. Go to TAJIMA official WebSite. Copyright © Tajima Industries Ltd . All Rights Reserved.